Opening in 2007, Roy’s Waikiki fits right in with all the action in the new and exciting renaissance of Waikiki Beach Walk. Guests can choose an inside table, dining on the lanai or even on the sushi counter. Along with our Roy’s classic items, guests can enjoy creations exclusive to Roy’s Waikiki. 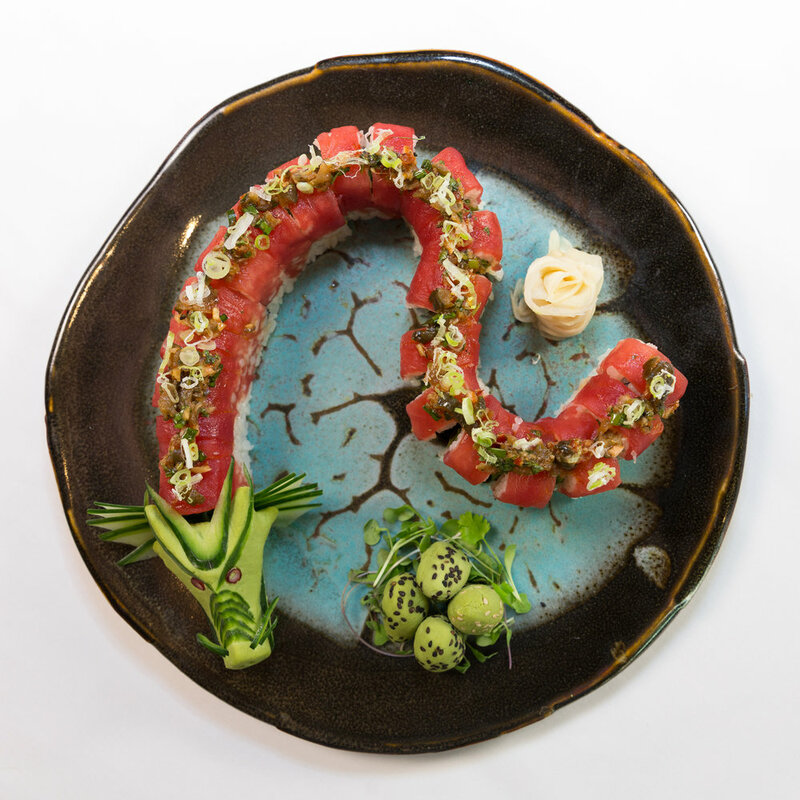 Blue Cheese Remoulade, Spiced Maple Bacon, Stuffing "Croutons"
Creamy Snow Crap, Garclic Buttered Filet Tataki, Ko Chu Jang "Kalbi"
Our private dining experience is perfect for family gatherings, celebrations and business entertaining. Let us help you create an unforgettable event! Includes one-on-one consultation for special menu planning and pricing. Includes wi-fi access and television monitor for presentations. Restaurant buy-out is available for parties up to 240 guests.